By Anna Monus in WordPress. Updated on November 23, 2017 . Creating new WordPress themes from scratch can be a time-consuming and demanding task that requires in-depth coding knowledge and constant learning to keep up with the updates of the WordPress Core. In reply to this challenge, more and more WordPress theme frameworks have appeared on the market in the recent years. Theme frameworks function as a scaffolding for a new theme; they provide developers with a set of features and functionalities they can use to create their own themes. Opinions about WordPress theme frameworks are divided in the developer community. Fans argue that they are real time savers, shorten and facilitate the development workflow, take the burden of intensive coding off our shoulders, and make it possible to focus more on design. Opponents say theme frameworks can have high learning curves, and they are too restrictive as well, as by their predefined rules they prescribe what we can do and what not. A good counter-argument against higher learning curves can be that we have to understand the logic of a framework only once, then we can reuse the same knowledge several times, and don’t have to worry about following all the new updates of the WordPress Core. Predefined rules, the other criticism coming from opponents, are simply called best practices by the fans. Whatever stance you take, WordPress theme frameworks have become wildly popular these days, so it’s worth to check out what they have to offer. In the rest of this post we will take a look at 5 premium and 5 free WordPress theme frameworks so that you can decide if they’re worth their salt. 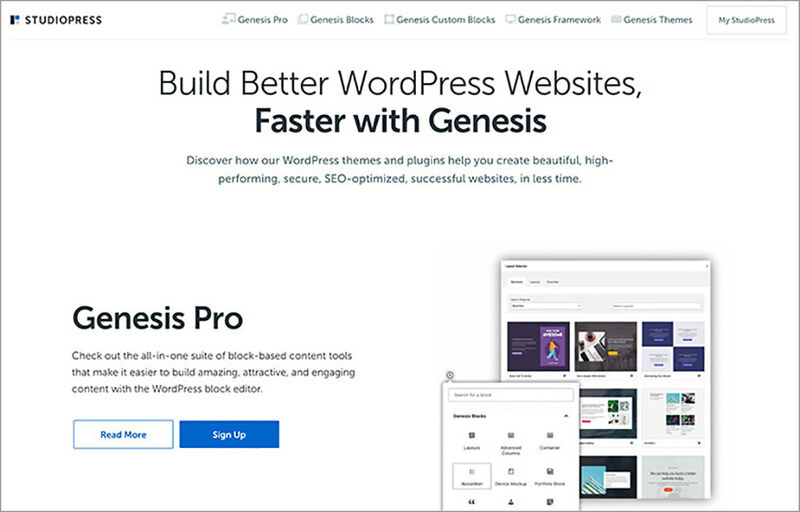 Genesis is a highly customizable, secure, and mobile-friendly WordPress theme framework offering custom page templates, featured content widgets, elaborate Theme Options, and many other cool features. The framework itself needs to be installed as a parent theme, then you can customize it according to your needs by using a child theme. 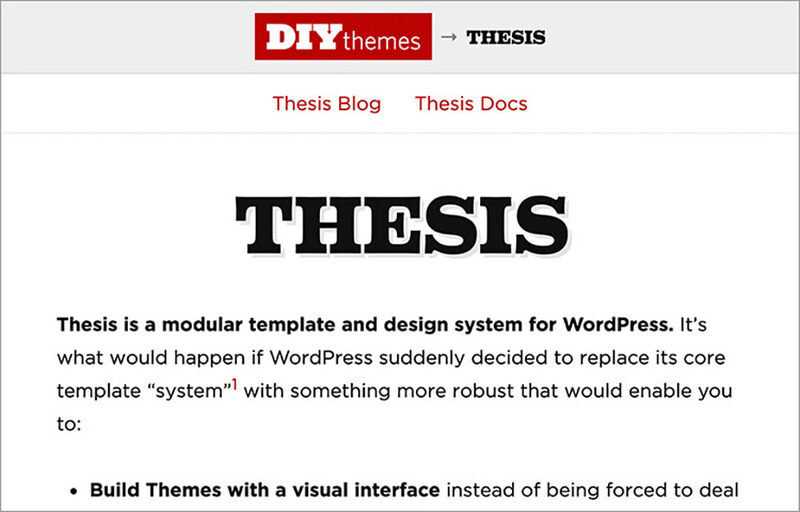 Thesis is a flexible theme framework that focuses on search engine optimization and easy customizability. It has a drag-and-drop visual template editor that makes it possible to add different functionalities, such as newsletter signup forms and social buttons, to your designs. Headway is an elegant drag-and-drop theme builder that can be a great choice for designers who don’t want to get their hands dirty with code. Building themes with Headway is a two step process: first you are supposed to create the layout with the help of the Visual Editor, secondly you can add custom styling, such as typography, colours, and other visuals using the Design Editor. Canvas is based on the WooFramework built by WooThemes, the creator of the WooCommerce free ecommerce plugin and many popular premium themes. 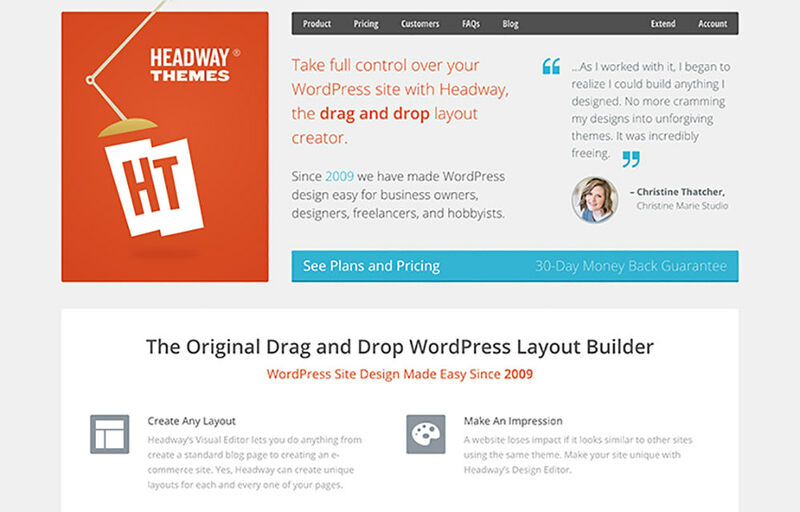 WooThemes builds its themes on WooFramework that cannot be purchased on its own. But luckily they developed a base theme called Canvas on top of it, which you can buy and use as a foundation for your own themes. The Ultimatum theme framework is shipped with many advanced features, such as an extendible drag-and-drop layout builder, a live CSS editor that allows you to see results on the screen right away, a Custom Post Type creator, premium plugins, and many others. 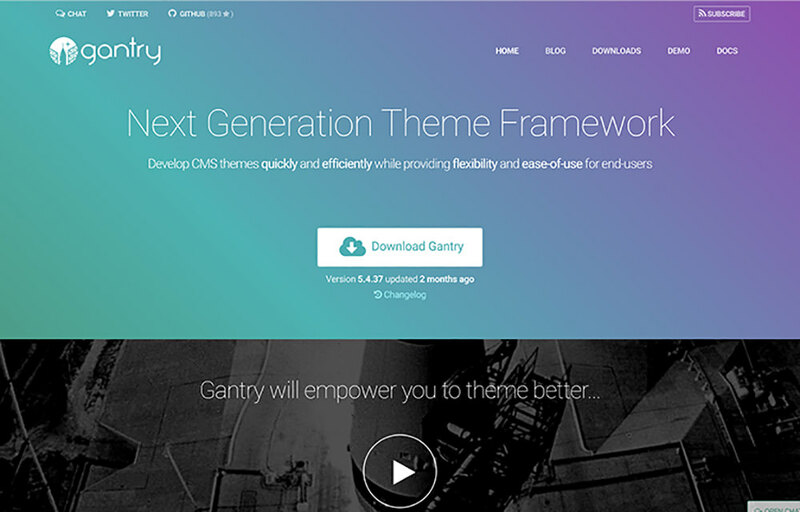 Gantry is a fast and lightweight theme framework for creating WordPress and Joomla themes. It’s developed by RocketTheme, a popular premium theme webshop who decided to give their framework away to the general public for free. Runway is a white label WordPress theme framework that automatically generates standalone themes you can distribute independently from the framework with your own branding. Runway provides you with a user-friendly visual Theme Options builder, and a cool Child Theme generator that lets you instantly add, edit, or duplicate a theme. Cherry Framework is built on the Bootstrap frontend framework, and it integrates many useful options so that you can easily adjust the layout and the appearance of your theme. The Cherry Framework provides you with a Static Area Builder to help you easily arrange static page elements such as logos and search forms. Redux is an open-source Theme Options Framework that is different from other theme frameworks listed in this post in that its goal is to provide developers with the ability to create and add custom Options to their themes. The Redux framework is therefore not for beginner coders, as it’s a means to make existing themes more user-friendly by enhancing them with a more sophisticated Theme Options panel that helps non-tech end-users to customize their theme. 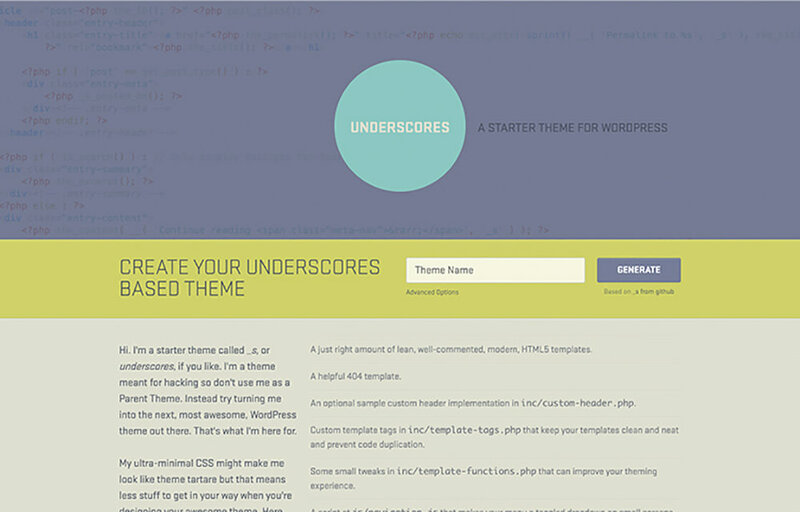 Underscores, the popular and flexible starter theme framework created by Automattic, is the starting point for many professional theme developers. It’s recommended only to advanced developers, as Underscores comes with neither a visual builder nor a Theme Options panel.